Free WIFI is provided to all our guests and is available throughout the property. A large outdoor spa pool is free for guests to use, it includes a built in sound system and we provide spa towels and glasses for those guests wishing to share a bottle of wine whilst 'soaking' in the views. A selection of KORA, New Zealand made toiletries is provided in all our bathrooms, as well as hairdryers. Local produce make up the breakfast menu and we offer both a continental or cooked breakfast as part of our room rate. We are happy to provide breakfast in bed or breakfast baskets for those with early starts. 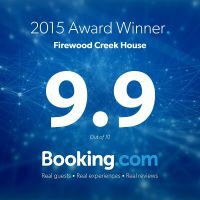 We are happy to pick up or drop off our guests who arrive into Cromwell by bus. A large outdoor swimming pool is available to our guests with a small decking area for sunbathing. Please note the pool is only open during summer.